Unless of course, you have the Fred and Friends Cracked Up Colander . 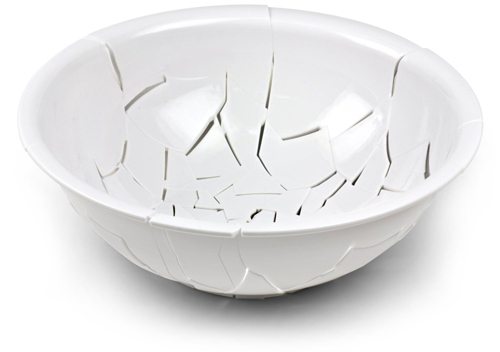 Available as part of a set (with the Fred and Friends Cracked Up Mug for some reason), the fun kitchen tool features irregular cut-outs that give it the appearance of a broken bowl. However, no bowls were harmed in the process — unlike the kids’ feelings when the kitchen gear gets taken away from them to make dinner.